Learn what led to Jimmy Fallon’s Late Night takeover and the implications it has on social selling. There's a big change coming to late night television. Starting February 6th, longtime tonight show host Jay Leno is being replaced by up-and-comer Jimmy Fallon. You may be asking yourself why we're covering entertainment news on a sales blog. The reason is social media. 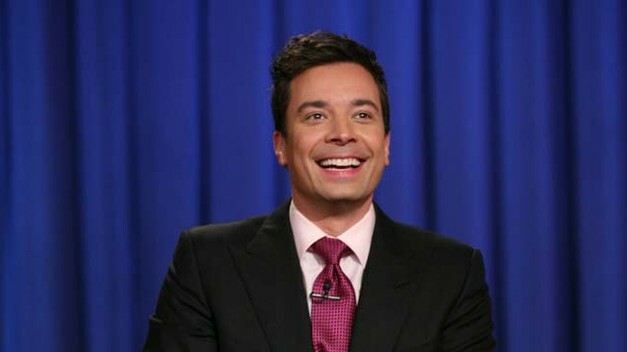 Fallon's social savviness created engagement and influence that the executives at NBC could no longer ignore. Similarly, today's sales executives can’t afford to ignore the effect social selling has on the overall sales methodology. Today’s consumer is constantly connected to media, with many now multitasking with their media. A new study from CES and NATPE indicates that nearly half of all Americans now use a second screen while watching television. Fallon’s fans aren’t just watching, they’re interacting with the show. The late-night host's rise offers a lesson to those of us who attract an audience with content: If you can’t find new ways to engage people in the various channels they access, you might be replaced by someone who can. Considering social networks influence nearly 50% of all IT decision makers, and consumers are 71% more likely to make a purchase based on social media referrals, ignoring social means you’re disregarding the way a significant chunk of your audience prefers to make decisions. Jimmy Fallon's social activities make the show a hit 24 hours a day, not just during air time. Those who never catch the show on TV can still watch clips online and participate in the dialogue by using hashtags like #whodoesthat and #howIgotfired. When you participate in aspects of social selling such as LinkedIn Group discussions and content curation, you’re leaving a digital footprint buyers can find and benefit from. You’re essentially creating multiple online entrances into your sales pipeline in places where buyers prefer to research information and acquire insights. These access points can continue working for you long after your original work is done. Think of your LinkedIn profile along the same lines as the Late Night website – a place for your audience to come for the gist (what you're all about), the news (what you can do for them today) and your greatest hits (how you’ve helped customers in the past). Your social selling activities are meant to be targeted, yet can also be findable and shareable, ultimately driving prospects back to your LinkedIn profile. There’s more to it, of course, but it’s easy to see why sales methodologies baked in social are able to engage today’s buyers much more effectively – and more efficiently – than traditional outbound methodologies. Learn how LinkedIn Sales Navigator can help you increase engagement with the audience that matters most to you.